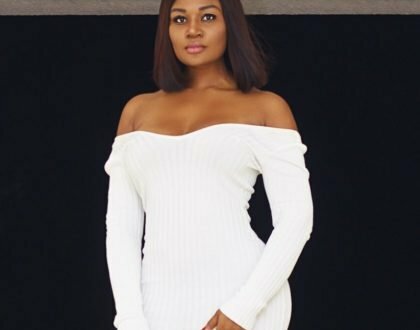 Nana Ama Mcbrown shows them how it’s done. 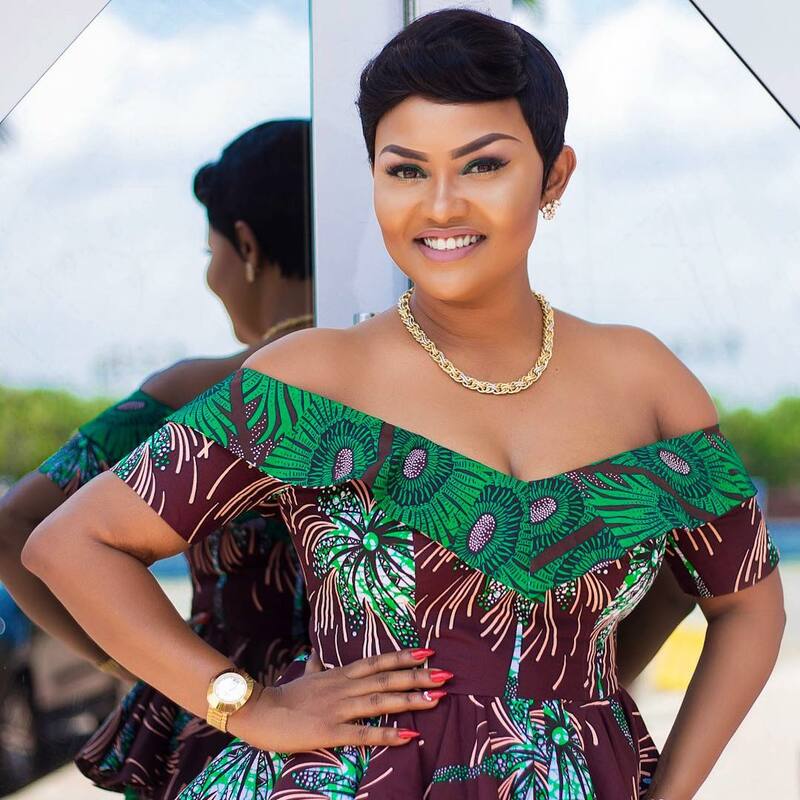 Ghanaian actress and style icon, Nana Ama Mcbrown has new photos in African prints. Furthermore, she served us with an intriguing and stunning fashion statement in wax print. 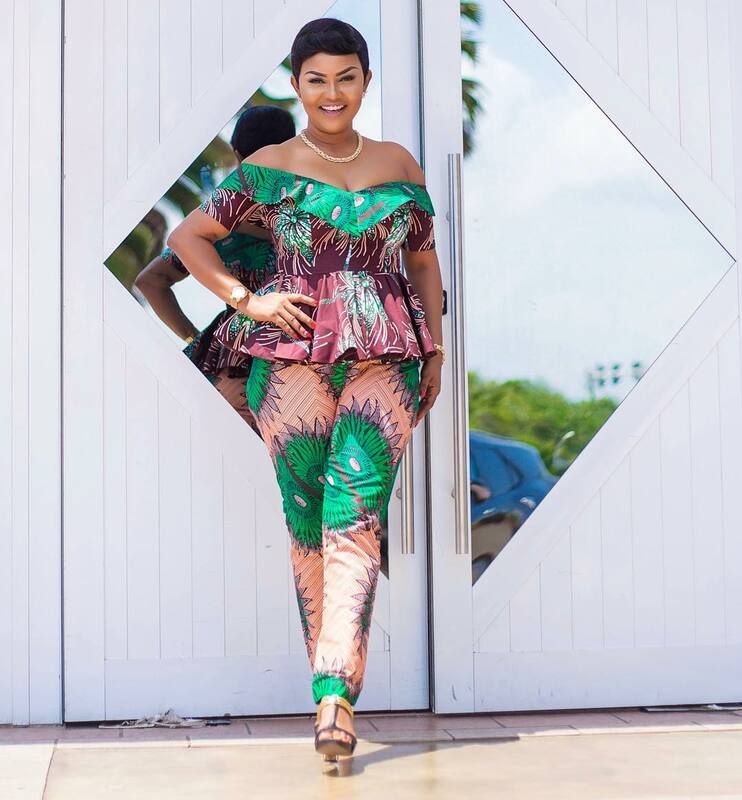 Moreover, she shared beautiful photos of herself in a peplum top and matching pants of the same fabric. Also, she incorporated both an edgy and simple style. Therefore, it has a corporate feel to it. This outfit can be used as the usual Friday wear theme for the corporate world. 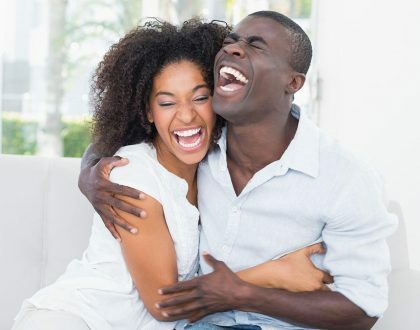 The dark brown and green- colored African print fabric perfectly complements her skin tone. Also, she had on minimal accessories.